Disinformation about Martian sky color apparently started with an order by NASA Administrator Dr. James Fletcher when Viking 1 touched down. Updated 2/4/2018. "What Gil Levin, Ron and Patricia Straat did not know (even to this writing) is that the order to change the colors came directly from the NASA Administrator himself, Dr. James Fletcher. Months later, Gil Levin sought out the JPL Viking Imaging Team technician who actually made the changes and asked why it was done. The technician responded that he had instructions from the Viking Imaging Team that the Mars sky and landscape should be red and went around to all the monitors ‘tweaking’ them to make it so. Gil Levin said, ‘The new settings showed the American flag (painted on the Landers – below as having purple stripes. The technician said that the Mars atmosphere made the flag appear that way [emphasis added].’"
Amid the celebration, a very perplexed, newly graduated high school student named Ron Levin sat at a console at JPL. For over two hours Ron watched with the others as color images came in. Ron, the son of Dr. Gilbert Levin, a scientist connected with one of the tests aboard the lander, was fascinated. Like the rest of us, Ron saw the “blue sky” of Mars in the first color image. Unlike us, Ron also saw images of rocks with greenish patches on them (see Figure 2 below). While he watched, a Viking imaging team technician adjusted the color controls on every monitor in the laboratory, increasing the red channel so that the sky lost its blue tint and the color of the rocks shifted from an earthly reddish-brown to an unearthly, deep rusty-red hue. When Ron attempted to adjust the monitors back to the original settings, he was told he’d be ejected from JPL if he persisted. To this day, Ron, now Dr. Ron Levin, physicist, makes it clear that, in his considerable estimation, there was no scientific justification for the adjustment in color. He speculates that the color was changed primarily because the planetary scientists took a dim view of the greenish patches on the rocks, which might have suggested to the public that some primitive form of plant life might be growing right on the surface of Mars. The sky of Mars has been red ever since. (Update of February 26, 2015 - Finally, after 36 years of disinformation with Viking 1, Viking 2, Mars Pathfinder, MER Spirit Rover, MER Opportunity Rover, and Phoenix; with Mars Science Laboratory we are allowed to see that the Martian sky is blue). Note: The picture of the green patches on the top of Figure 2 below is taken from an important article by Gil Levin at http://gillevin.com/Mars/Reprint87-color-files/colorReprint87.htm. Possible life in the form of green spheres seen by MSL on its sols 1185 and 1189 are shown at the bottom of Figure 2 below and are discussed in detail in Section 14.3 of our Basic Report for MARS CORRECT: CRITIQUE OF ALL NASA MARS WEATHER DATA (Note: this link [for the September 14, 2016 version of our report] changes with updates. If it's inactive try the Contents at http://davidaroffman.com/photo2_18.html to find the most recent version). FIGURE 2 at the top shows green patches on rocks at the Viking 1 landing site on its Sol 1 and green spheres seen by MSL from 2015 through 2017. If something like algae or lichens, the rock patches may manufacture oxygen. Ditto for the green spheres, which may be a higher (multicellar) form of life. Figure 2 also shows how sky and flag colors were distorted by Dr. Fletcher's strange order. As can be seen on Figure 1 from Slide 10 of our PowerPoint, when we view our atmosphere from an altitude of 83,600 feet where pressure should be down to about 11.3 mbar (still a good bit higher than the 6.1 mbar at Mars areoid), the sky above is night-like and dark blue. It's also close to the color of the Martian sky at sunset. The color of the Martian sky would be expected to take on a redder color during a dust storm. But there is no reason to assume that it would always be reddish (or butterscotch) even when dust levels are exceptionally low. If accepted Martian pressures are too low, as we think we prove in our Mars research and Report, then the sky color before MSL landed is just one more NASA error. Until MSL showed us the real color of the Martian sky, NASA often published photos that show a Mars that looked much like Earth, but it always stated that the colors were exaggerated. One recent example is offered below. Figure 3 (top) and 4 (bottom) supposedly showed us the difference between true color (top) and false color (bottom). But photos taken later by MSL suggest thath the Figure 3 is the one with false color, while at least for the sky, Figure 4 shows the real color. FIGURE 5 - Cape St. Vincent at Victoria Crater in Mars. NASA/JPL normally only lets us see a Martian sky that is reddish or butterscotch in color, but as is seen below, they have let us see blue sunsets on Mars, and even a partial eclipse of the sun by the Martian moon Phobos. 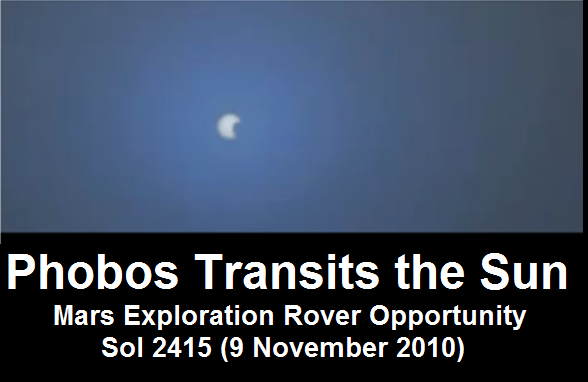 Figure 6 - Phobos transits the sun as seen from Mars near sunset. Figure 7: This MSL photo taken on September 9, 2015 means we can finally be sure that the Martian sky is blue. For a follow up of this article and a discussion about possible plant life and higher than advertised oxygen levels on Mars, click here.